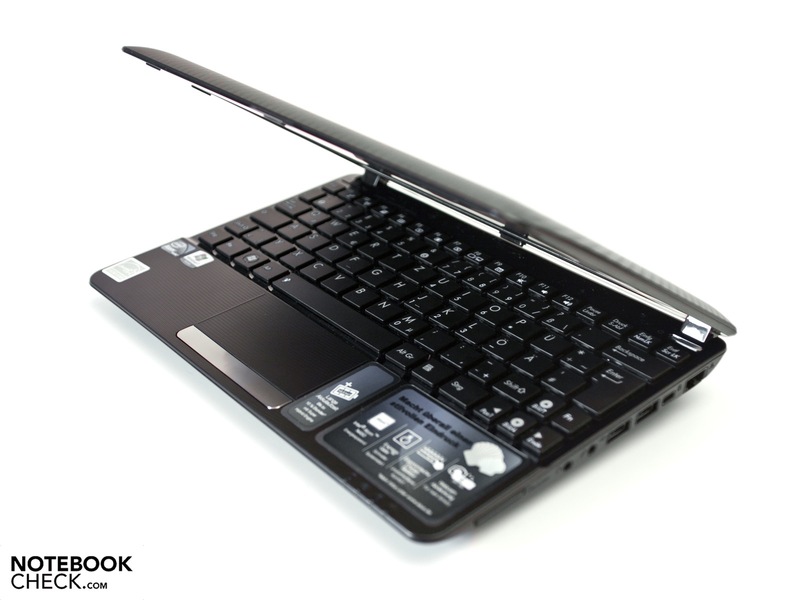 We've tested the new Asus Eee PC 1015 with business aspects. Asus now goes new ways and presents three devices, also for office routine. 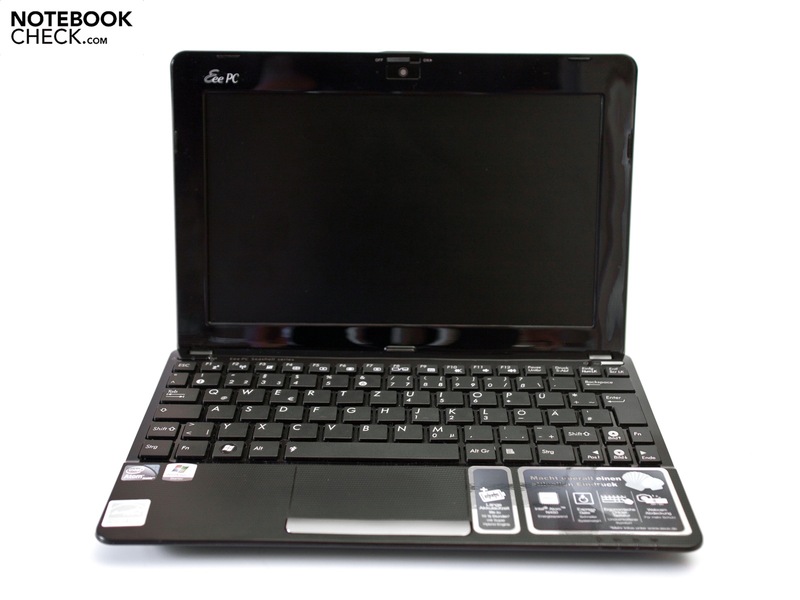 Beside our test device (Eee PC 1015P), the Eee PC 1015PE with a larger configuration, the Eee PC 1016P with a DDR3 RAM and Intel Atom N455 processor, as well as the top model, Eee PC 1018 are found. 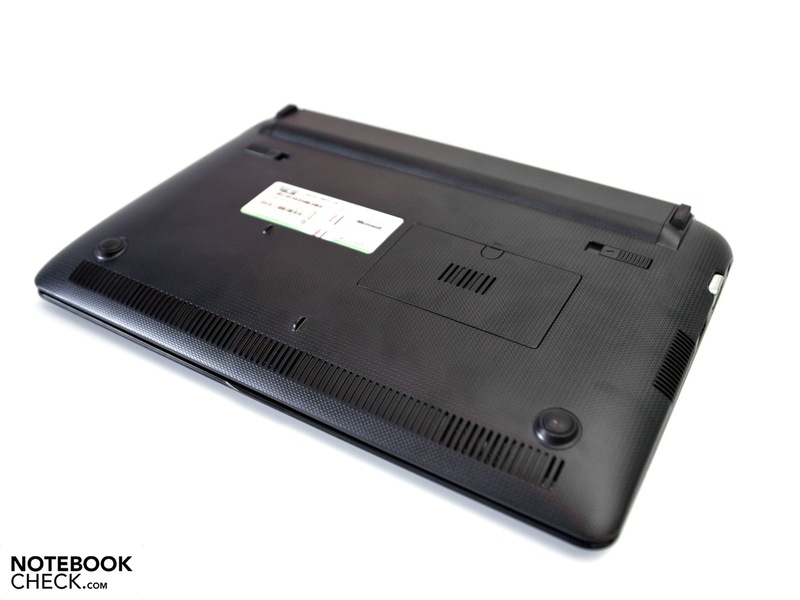 The latter netbook has a strong Intel N475, DDR3 RAM, USB 3.0 port and an aluminum case. 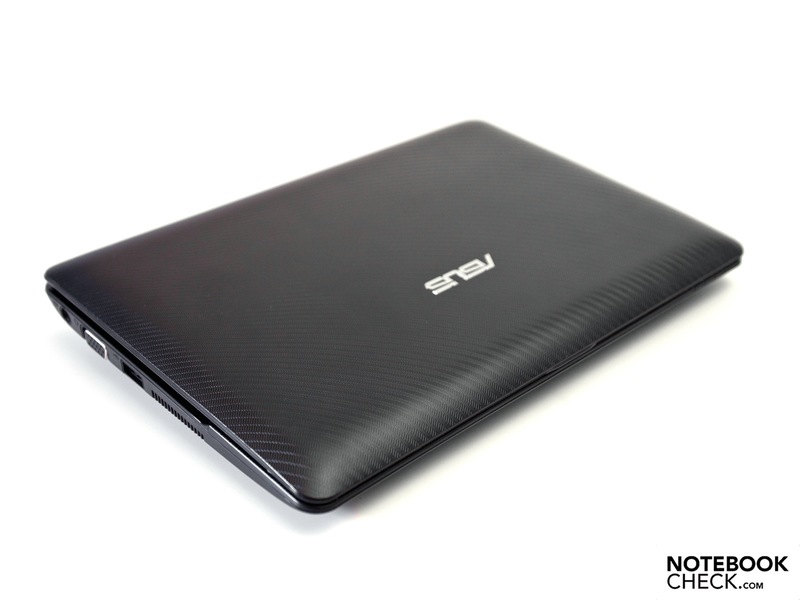 We've tested the Asus Eee PC 1015P in black, whereby there is an alternative in a white case available. 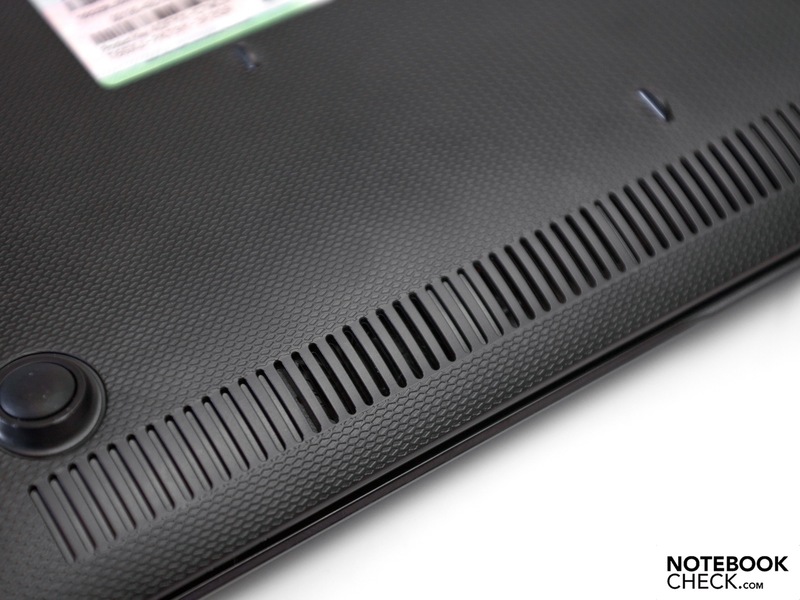 The matt case has been given a plain pattern and Asus barely uses any high-gloss coatings. A few details about the configuration first: The tried and tested Intel Atom N450 with a clock rate of 1.66 GHz, a 1 GB DDR2 RAM and a 160 GB sized Seagate hard disk do their work on the inside. But you'll have to live without Bluetooth, a larger hard disk and other color alternatives or take the more expensive Asus Eee PC 1015PE (349 euro, RRP). Our test device has the lowest configuration and is available starting mid July for 329 euro (RRP). 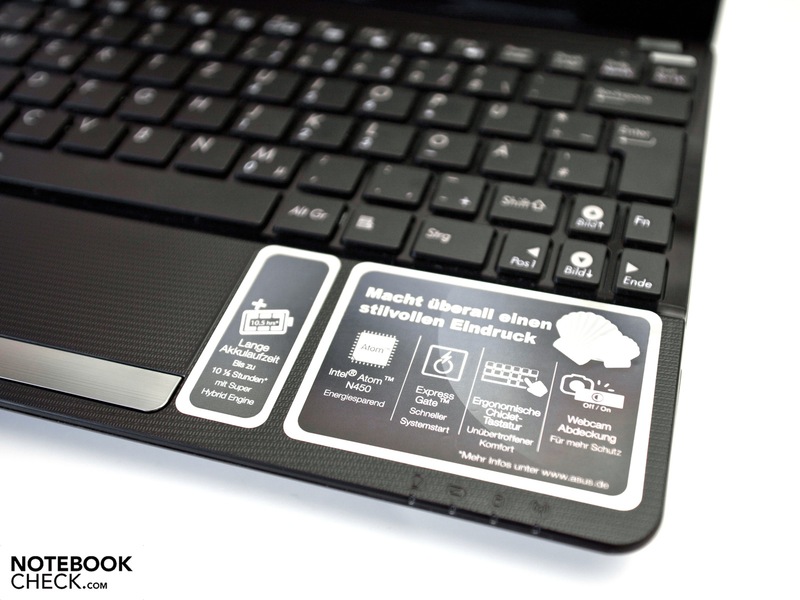 An interesting thought: Eee PCs from Asus for office use with a plain design and good workmanship. 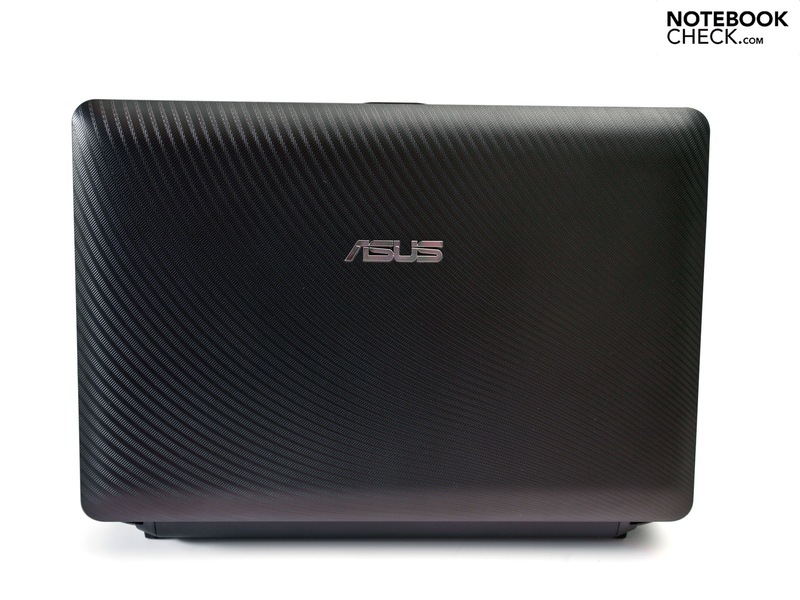 The 1015P is the starter model of this field and Asus only offers it in black and white, whereas the entire case has been given a subtle pattern. This isn't anything extraordinary, but it upgrades the plastic case additionally. The design looks overall balanced - even the glossy surfaces (keyboard and display bezel) on the inside fit into the design. The workmanship and haptics are very good. The matt case has even more advantages beside its appealing looks. Dust and fingerprints are a thing of the past and the susceptibility for scratches or other blemishes is reduced. The only exceptions are the high-gloss surfaces and chrome applications on the case. The case's stability is completely convincing because it barely yields under high pressure. Our model's display bezel is thin, but unusually stiff in the beginning. We could already sense a strong tension at the slightest warping of the lid. However, our device's display spontaneously fissured in this test. We think that some screws were pulled to tight in our test device and that the screen thus had too much tension. After this incident, the display acted as we expected, whereas the whole display was now a bit loose. 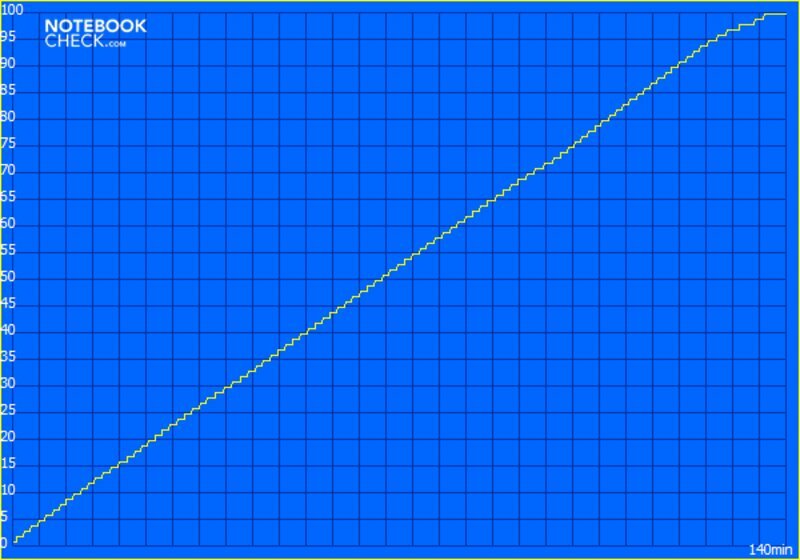 The dimensions of 26.2 x 17.8 x 2.5 - 3.6 centimeters (w x d x h) aren't unusual for a netbook with a 10.1 inch display. 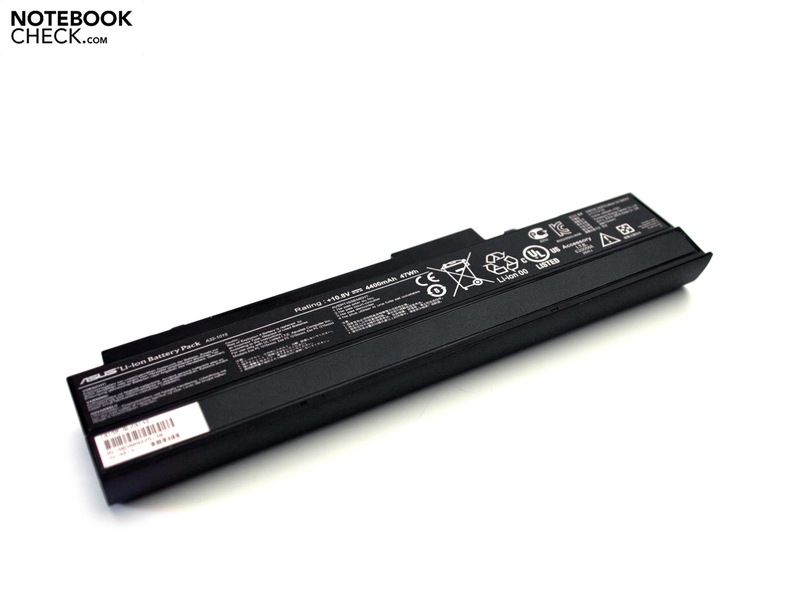 The 1015P weighs 1.24 kilograms with inserted 6 cell battery (4400 mAh, 47 watts). If the bigger battery (6 cell, 5200 mAh) weighs more isn't known. Why only a 3-in-1 card reader? Will there be a "GO" alternative of the 1015P/PE? 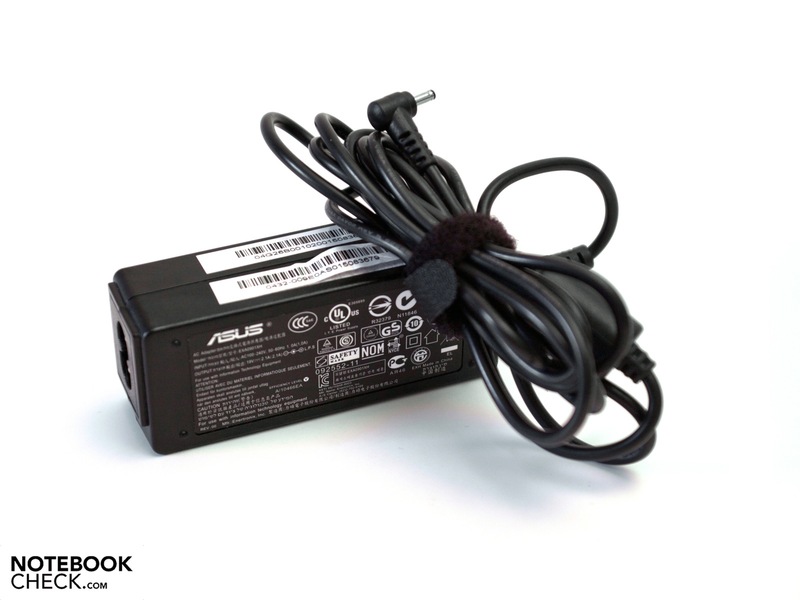 In terms of connectivity, Asus hasn't included anything special and there is only the netbook standard found. 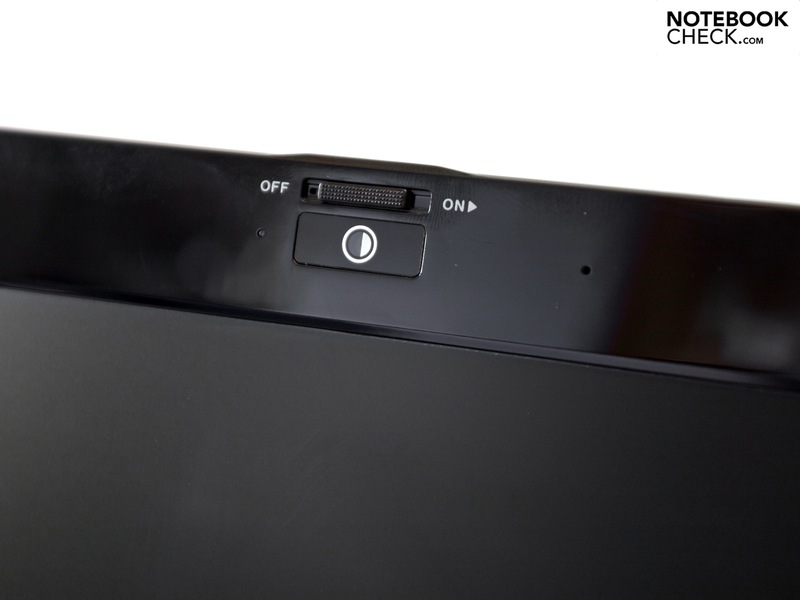 On the left, a USB port (2.0), the VGA-out via a projector can be used, and the power socket for the included adapter has been placed on the left. On the other side, two additional USB 2.0 interfaces, the audio sockets (headphone-out, microphone-in), a Kensington lock, the RJ-45 network port and a 3-in-1 cardreader that reads and writes SD, SDHC and MMC memory cards. The front and rear don't have any interfaces. Only two stereo loudspeakers, respectively the 6 cell battery with 47 Wh are placed here. Asus has done a good job with the interface alignment and there aren't any room problems. The periphery is rather scarce, but acceptable for a 300 euro netbook. 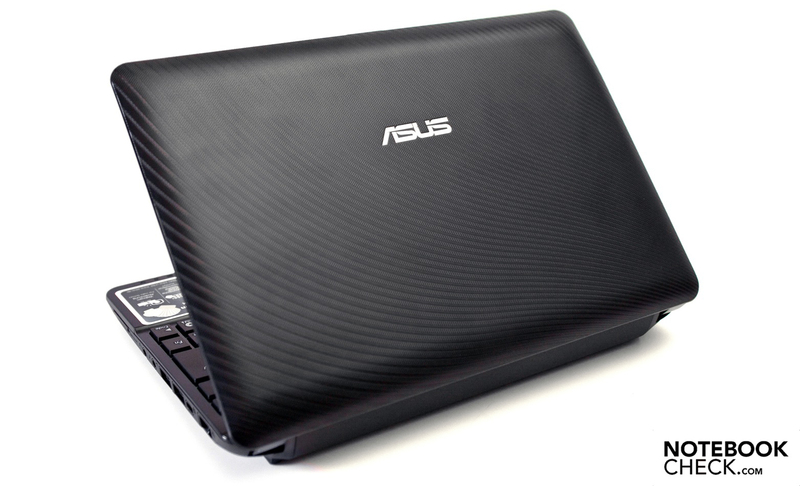 Asus only offers a more circumferential configuration in connectivity matters in the high-end model, Eee PC 1018P, which is equipped with a USB 3.0. A generous amount of mobile technologies is almost good form nowadays. In full accordance with this, the Asus Eee PC 1015P also has the current n-standard in WLAN (802.11 b/g/n, Atheros AR 9285), beside gigabit Ethernet (Atheros AR8132). A drawback is the missing Bluetooth controller that is only found in the more expensive 1015PE. So, you'll have to use a USB dongle for Bluetooth, like it or not. The dummy slot for a SIM card is interesting. If there will be a UMTS model of the 1015P/PE from Asus still remains unknown. The scope of delivery isn't very extensive and you'll only find the most important components and documents. 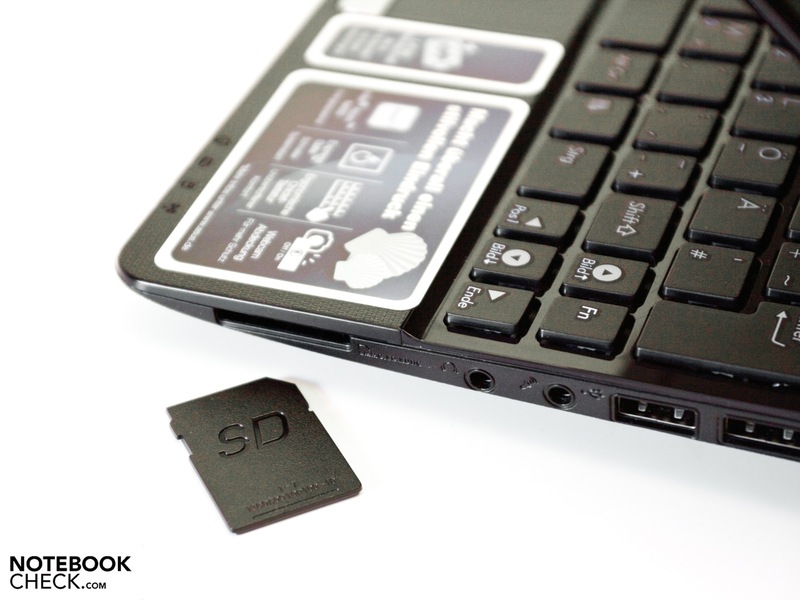 Aside from the netbook, a small adapter with cable, a user's manual, the warranty card and the 6 cell battery is included. Chiclet keyboards are generally on the rise and the 1015P also is made with this single-key alternative. The keys bid a good stroke length and the pressure point is very agreeable. The single keys are a bit smaller than expected with 14 x 14 millimeters, but have good ergonomics anyway. The small arrow keys are usually less important, but the small shift keys are annoying while typing. The layout apparently has proved itself because Asus has used it frequently (Eee PC 1005PE netbook). Asus has done a great job in terms of touchpad and integrates a new module that now has a proud diameter of 8.7 centimeters. The touchpad has been integrated elegantly into the wrist-rest and is only separated optically by two narrow lines from its surroundings. The surface is very pleasant and has good gliding traits, which makes navigating easy. Of course, various multi-touch gestures are also supported, which are executed with two fingers at the same time. 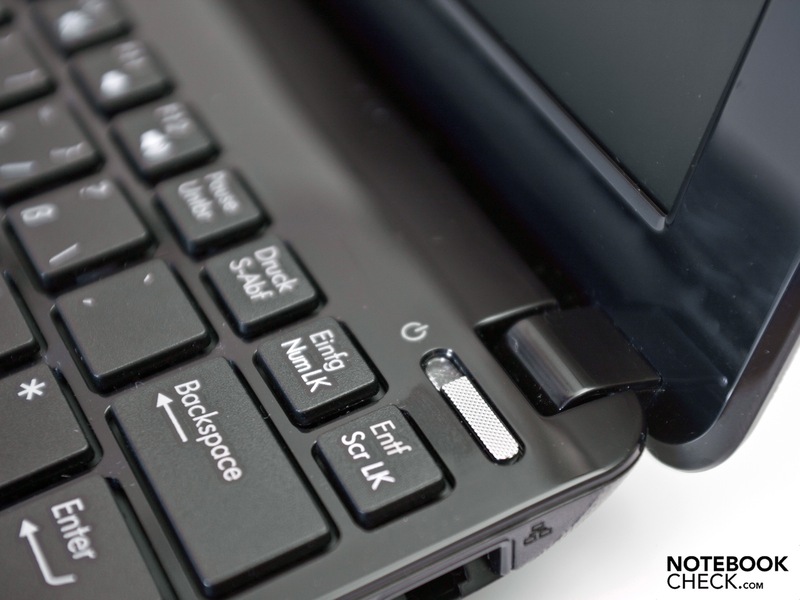 The mouse keys are beneath a big bar below the touchpad and also have a very pleasant pressure point. Asus has learned from experience and now offers a matt 10.1 inch display that is allegedly also outdoor suitable. The screen has a native resolution of 1024 x 600 pixels in a 16:9 format. A higher resolution (interpolated) isn't available under Windows 7 Starter and a HD display isn't given as an option. 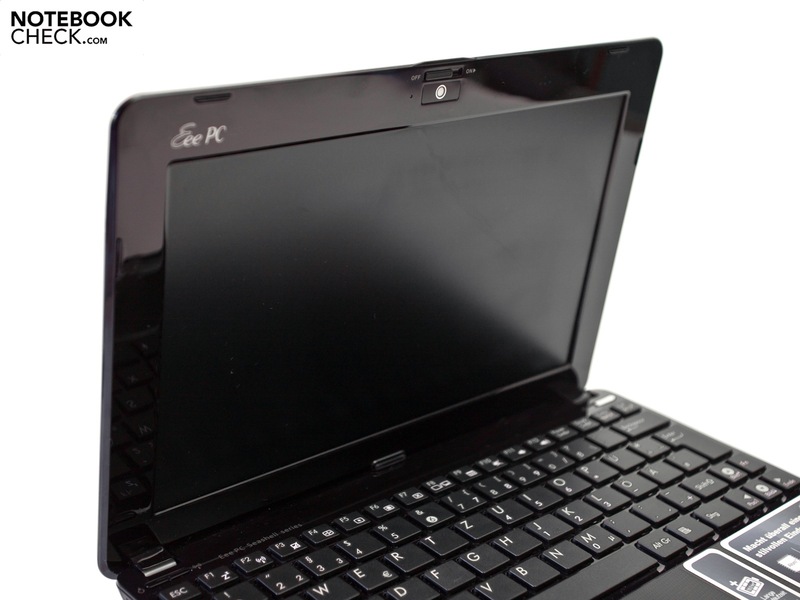 Even Asus' more expensive models, Eee PC 1015P and 1018P, only have 1024 x 600 pixels. The display is illuminated evenly and intensely due to the LED backlight. We could measure a maximum of 254 cd/m2 in the display's center area. This rate is far beyond the average for a matt netbook screens and surprises us positively. The average of all assessed rates of 245.3 cd/m2 is also impressive and gives hope for a good outdoor suitability. The illumination of 93 percent is very homogeneous because of the LEDs. Eyes can't see the difference of brighter and less intensely illuminated areas. Another positive surprise is the low black value of 0.3 cd/m2, which also lets the contrast increase to a high 847:1. The display convinces subjectively as well as objectively. Is it the perfect netbook display for outdoor use? Both direct sunlight and indirect lighting outdoors aren't a problem for the display and the image is rendered brilliant and clear. The content can always be clearly recognized and no restrictions of use turn up. Of course, we ask ourselves why this rethinking process has taken so long. 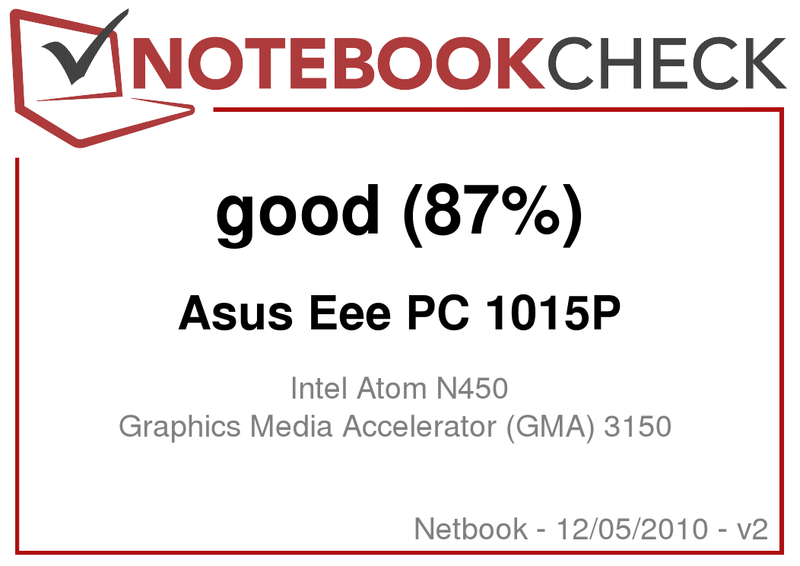 Be that as it may, this display can convince us in a netbook and is currently also used in the Eee PC R101, whereby the assessed rates are even higher. The viewing angle stability can unfortunately only convince us to a part. The horizontal plane is very stable up to about 165 degrees and the image displayed is focused and without color falsifications. Vertically, the display movement towards a closed state gets problematic. The image quickly turns illegible and looks like a negative. 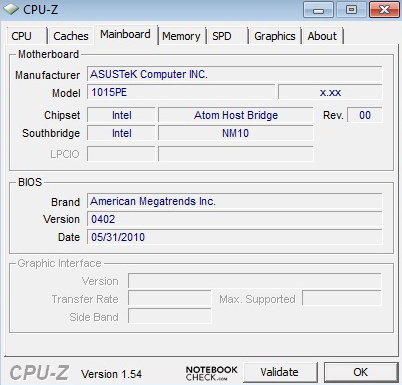 Well-known netbook hardware is found inside the Asus Eee PC 1015P. 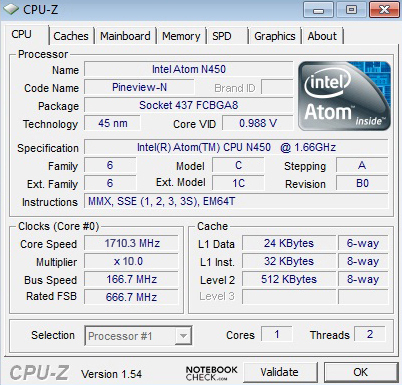 Our test device, as a starter model, is equipped with Intel's Atom N450, which has a clock rate of 1.66 GHz. A special feature from Asus is the "Super Hybrid Engine" that overclocks the single-core processor to 1.71 GHz in "Super Performance Mode". This however only creates a slight performance gain. The "Power Savings Mode" that limits the clock rate to 1000 MHz is more important here. Asus enhances the 1015P's battery life with this technology, but more about that later. 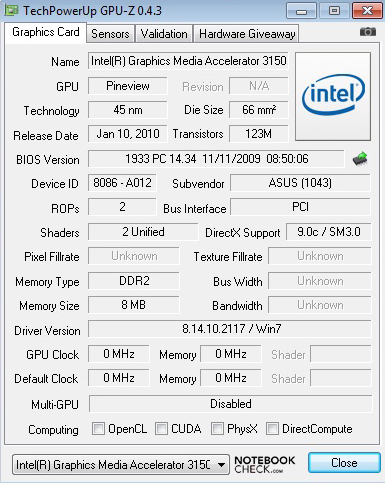 Intel's GMA 3150 chip is responsible for graphics. It has enough performance for simple office applications, but a core rate of 200 MHz isn't enough for smooth HD rendering or for current gaming tracks. A 2.5 inch hard disk from Seagate (Momentus 5400.6, ST9160314AS) with a gross capacity of 160 GB and a 1 GB DDR2 RAM from Hynix belong to the configuration, as well. The main memory can be extended to a maximum of 2 GB (1 slot), but the hard disk isn't accessible. You won't find any screws on the case's bottom, which makes exchanging very difficult if not impossible. 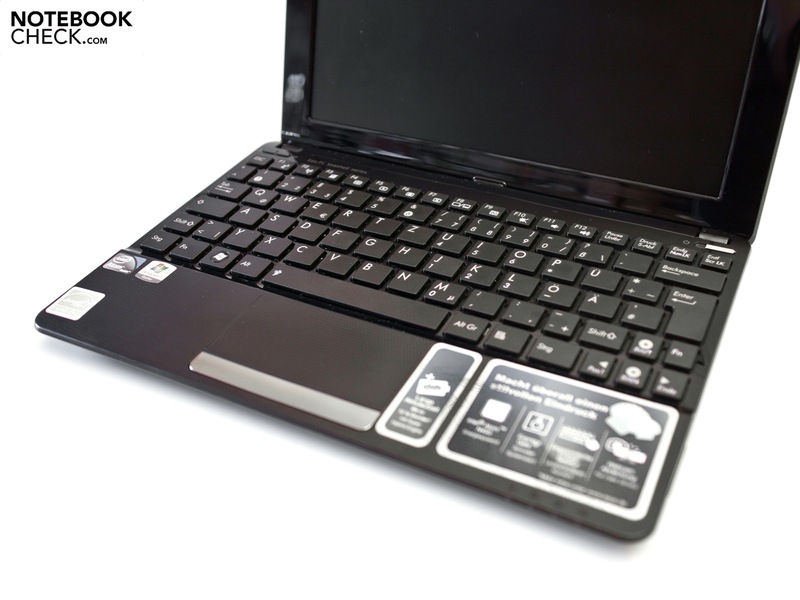 In order to establish the Eee PC 1015P's performance, we sent the device through various benchmarks and enabled the high performance profile of Windows 7 and the "Super Performance Mode" of the Super Hybrid Engine for this. The processor works with 1.71 GHz and should provide a slight performance gain. PCMark05 and Vantage only affirmed average application performance rates in the lower field of netbooks and the subjective impression isn't convincing, either. Windows need a relatively long time to build up and the booting times are long. A reason for this could be the RAM. 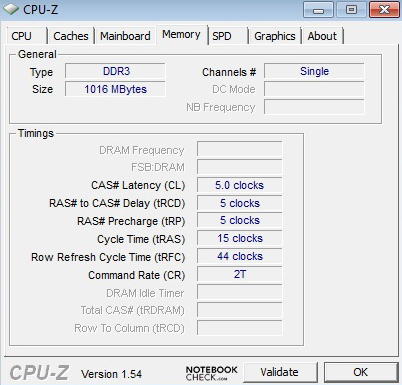 In our opinion, a 1 GB DDR2 RAM for Windows 7 Starter with a few programs is too little. At least 2 GBs are recommendable for reaching better results. The 3D performance is only on netbook level, but is enough for simple 3D games in a low resolution. A good example for this would be TrackMania Nations Forever that still runs smoothly in low details and respective resolution. 3DMark06 (1280x1024 pixels) from Furmark indicates this characteristic and only gives a poor 130 points. Various subnotebooks with an 11.6 inch screen are recommendable for a considerable performance improvement. Amongst others, Acer's Aspire 1551 or the expensive, but very potent, Alienware M11x subnotebook that will soon be launched onto the market with the latest Intel Core processors. A correlating test will follow. The integrated hard disk memory is from Seagate (ST9160314AS) and has a 160 GB memory capacity at a speed of 5400 revolutions per minute. 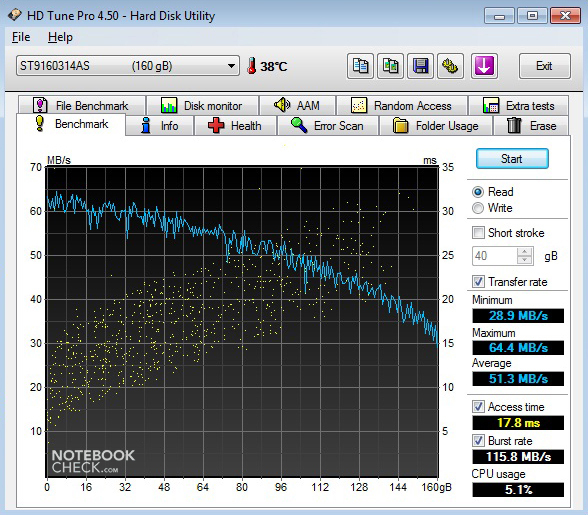 The "HDTune Pro" benchmark only reads out average rates. The maximum transfer rate is in a normal field with 64.4 MB per second. Unfortunately, exchanging the drive is very difficult if not impossible. 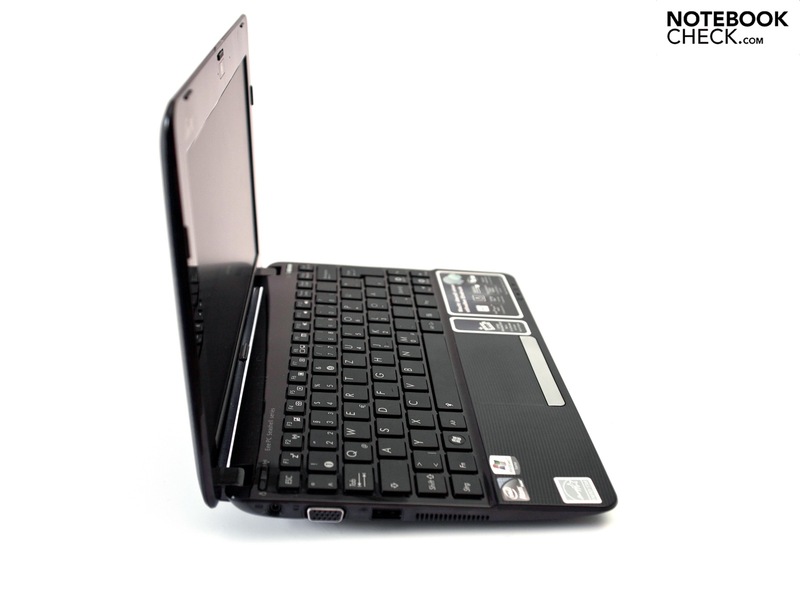 The Asus Eee PC 1015PE has a larger memory capacity, which also has Bluetooth onboard, aside from a 250 GB hard disk memory. The last point in the "performance" part deals with the latencies under Windows 7 Starter. "DPC Latency Checker" supplies a quick check in a comprehensible way. Our test device's rates are within a green field and problems shouldn't turn up. In comparison, red bars do not bode well and problems with peripherals can turn up. Sound crackling of external sound cards is known here. A small fan emits the warm waste air out of the case. It does its job well and above all, quiet. 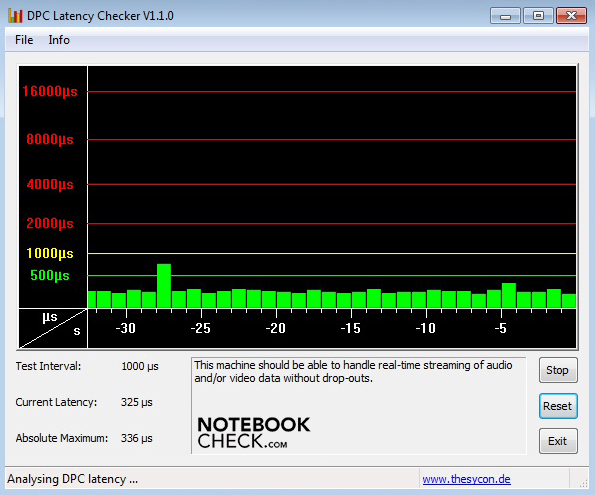 The netbook works as quiet as a whisper with a maximum of 30.3 dB(A) in normal mode and you barely notice it. The hard disk is a bit louder and produces 32.8 dB(A) at access, whereas a clear "clacking" from the disk can be heard sometimes. The noise level increases to a maximum of 35.3 dB(A) under load, whereby the whistling noise characteristic disturbs us. The device basically does its work quietly, but the hard disk and fan behavior under load provide reason for minor complaint. The temperature development on the case is another bonus point for the1015P. 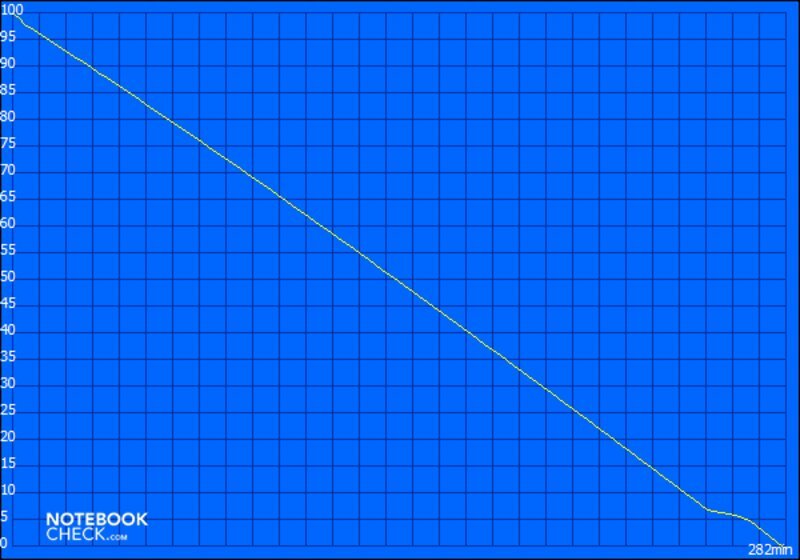 A maximum of 31.0 degrees Celsius is reached on the lower case half in normal mode. You'll overall only notice a slight heating and the wrist-rest always stays cool with about 26 degrees. The rates increase a bit under load, but remain in a pleasant range. The warmest spot here is also found on the bottom with 33.5 degrees Celsius. It's striking that this rate is in the vent's vicinity. The system's warm waste air is accumulated here when the hardware heats up. (+) The average temperature for the upper side under maximal load is 28.6 °C / 83 F, compared to the average of 29.8 °C / 86 F for the devices in the class Netbook. (+) The maximum temperature on the upper side is 31.1 °C / 88 F, compared to the average of 33 °C / 91 F, ranging from 21.6 to 53.2 °C for the class Netbook. (+) In idle usage, the average temperature for the upper side is 27.3 °C / 81 F, compared to the device average of 29.8 °C / 86 F.
(+) The average temperature of the palmrest area of similar devices was 29.3 °C / 84.7 F (+2.1 °C / 3.7 F). Asus has placed two little stereo loudspeakers on the case's front bottom side for audio rendering. 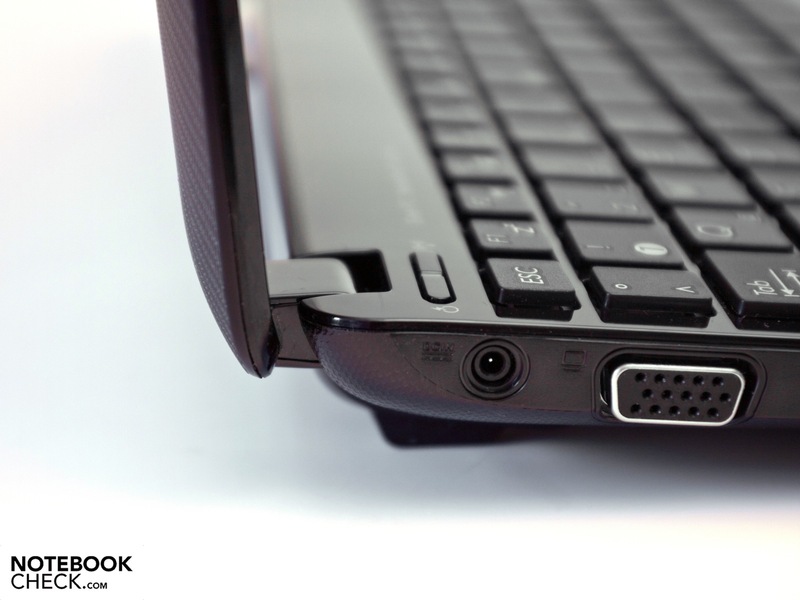 The sound is likely rather secondary for a netbook. 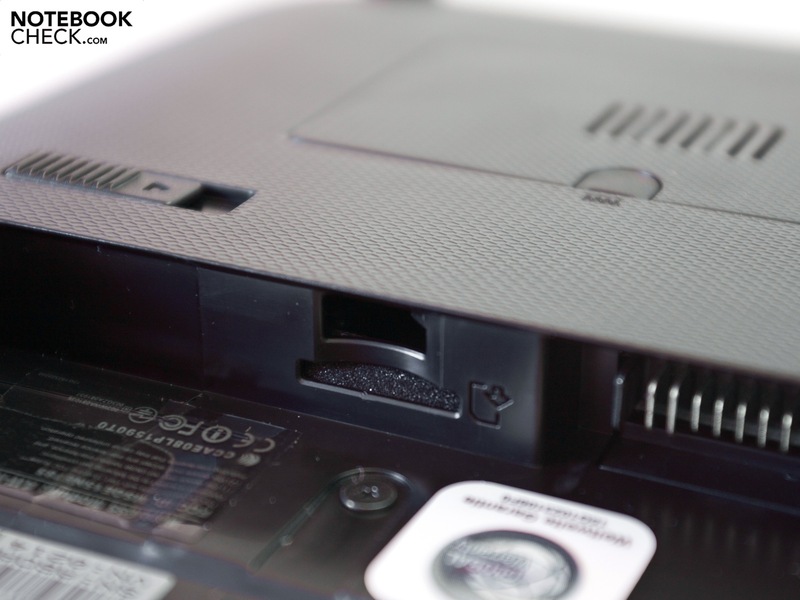 The speakers are in the wide midrange of the actually limited range of netbook loudspeakers. The trebles are too prominent and the deep pitches and basses don't exist. The use of external speakers via the integrated 3.5 millimeter jack is advisable for presentations with sound. This socket has a good sound with according loudspeakers or headphones. 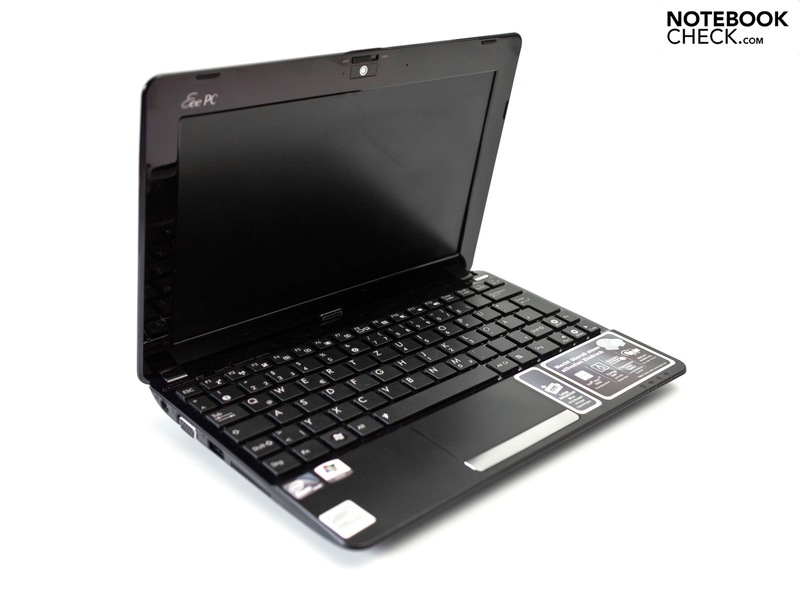 The power consumption is the specialty of the Intel Atom N450 and integrated Intel GMA 3150 graphics unit. Our test device consumed between 6.4 and 9.6 watts in normal mode and thus is within the normal range for this configuration. The entire hardware is put under high demand under load and the power consumption increases to a maximum of 14.4 watts. The rates also stay within limits at 0.4, respectively 0.3 watts in a deactivated state and standby. Asus promises a battery life of 10 hours and 30 minutes on the wrist-rest. Various scenarios can be insinuated with the "BatteryEater" tool and we've taken a look if Asus keeps its promise. 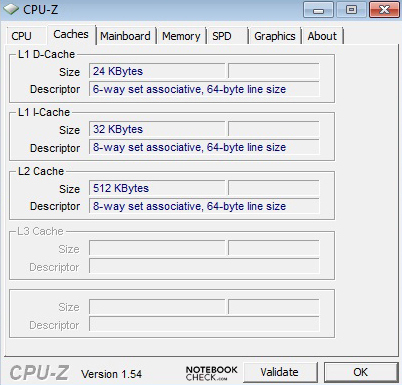 The "Classic" test simulates the maximum load with an Open GL calculation, whereby the high performance profile is enabled and the processor works at 1.71 GHz due to the Super Hybrid Engine. Additionally, the WLAN controller and the maximum display brightness are on. The 6 cell battery (47 Wh) is drained after a good 4 hours and 42 minutes and the mains are needed again. 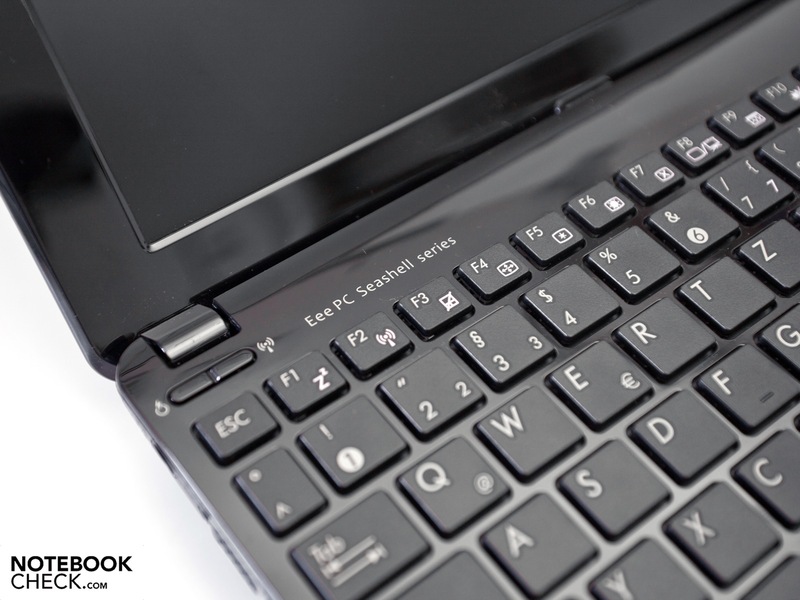 If you only want to check your emails and surf on the internet, the Eee PC 1015P provides enough time with 7 hours and 33 minutes in practical use. The processor works with the standard 1.66 GHz in this scene, where a good to medium display brightness is set. Now let's look at Asus' promise - the "Reader's" test demonstrates the use at minimum performance. Aside from the display's minimum brightness, the WLAN adapter is disabled and Windows 7's energy savings options are enabled. The Super Hybrid Engine really shows its true strength in this application field. The processor is throttled to 1 GHz, causing the power consumption, but also the performance to drop noticeably. Asus has kept its sticker promise with 10 hours and 26 minutes, even if the real battery life will be significantly lower. 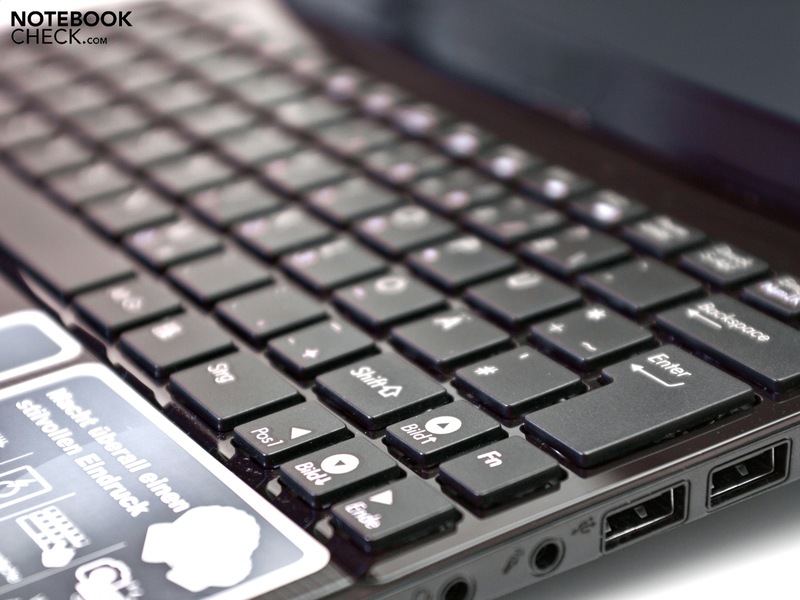 The Asus Eee PC 1015P is persuasive in important issues of our review, but weaknesses are also found. The implemented Intel Atom N450 isn't a surprise and the overall configuration correlates to a starter model. The case can convince with a subtle texture and good workmanship. The used chiclet keyboard offers good ergonomics, but the shift keys have been made disagreeably small. The generous touchpad with support for multi-touch gestures is new. 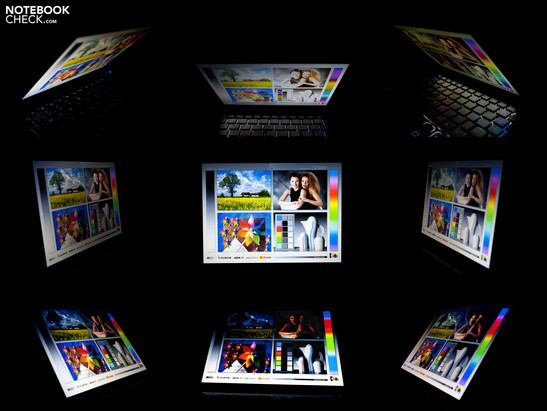 The wish of many users has finally been heard and Asus uses a matt display with top rates in the Eee PC 1015P. Unfortunately, Asus doesn't offer a HD display optionally. The application performance can't convince us, but is on a typical netbook level. We think that a 1 GB DDR2 RAM isn't enough for Windows 7 and would have liked to see a bit more in this regard. The extendability is also restricted due to the lack of screws on the bottom, which makes a hard disk exchange, for example, almost impossible. 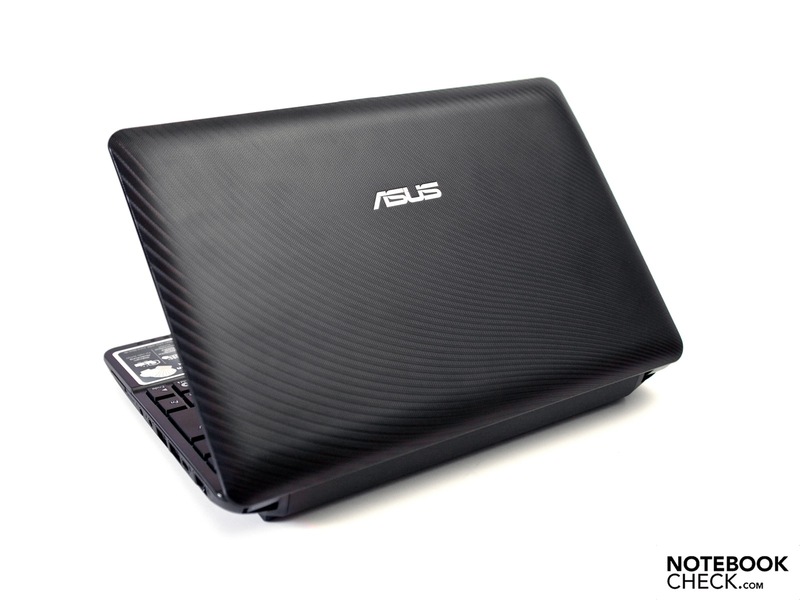 Asus will offer the netbook through several sales channels for 329 euro including added value tax (RRP) as of mid July. 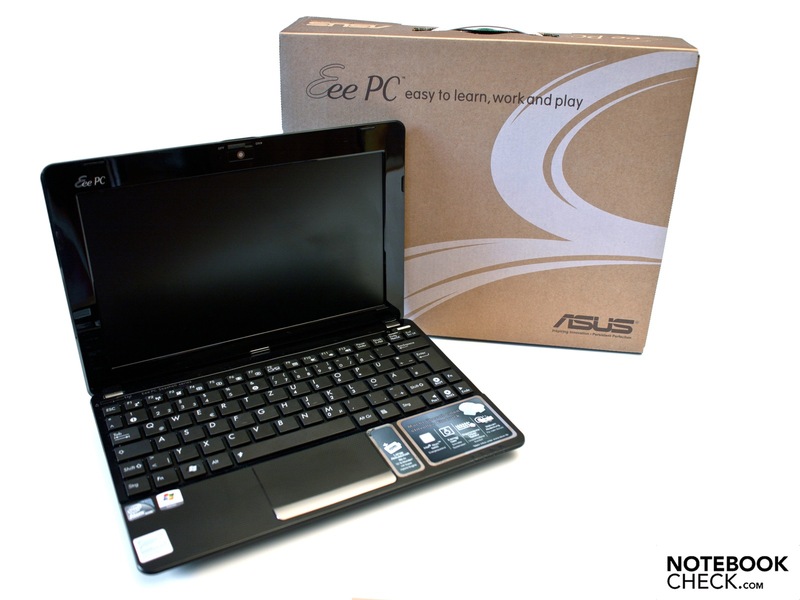 The Asus Eee PC 1015PE has a higher configuration for 349 euro (RRP). 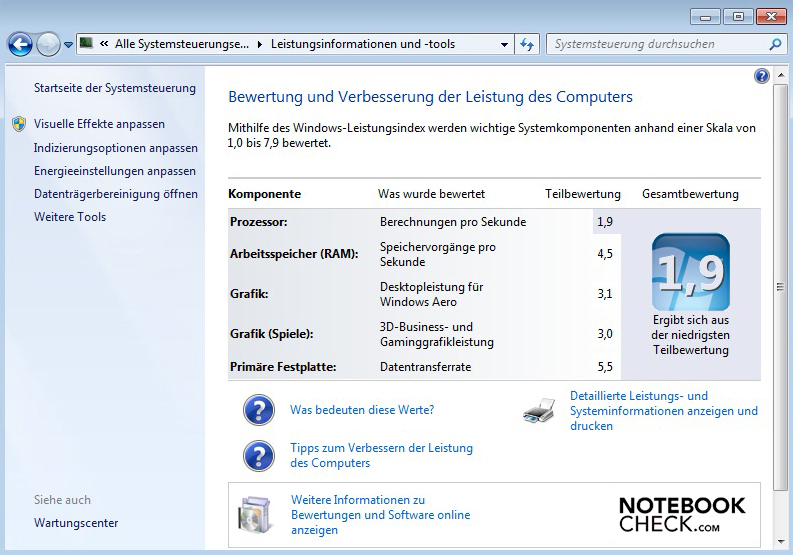 Asus Eee PC 1015P: überzeugendes Netbook mit Standard-Ausstattung. There are also two stereo loudspeakers on the bottom. 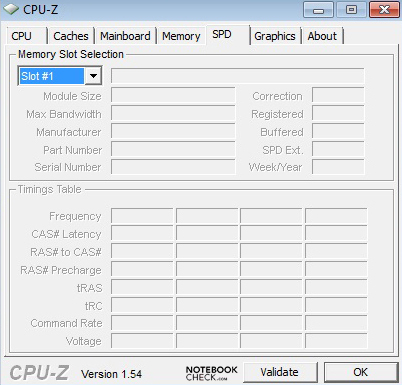 Asus only integrates 1 GB DDR2 RAM for a insatiable operating system ex-factory. There is only one maintenance cover on the bottom and we can't see any screws. The RJ-45 network interface is cleverly disguised. Asus keeps its promise and actually makes a longer than 10 hour battery life possible. ... hardware buttons for the WLAN adapter and Super Hybrid Engine. A generous chiclet keyboard, whose shift keys are regrettably too small. A webcam with privacy cover is also onboard. Strong display hinges, but teetering remains. Wave optics and a high-quality workmanship are convincing. Plastic case with a pattern on the surface. Plain, but elegant design coupled with good ergonomics. ... the included adapter is very slim and light! The case's design with its matt surfaces and subtle textures with excellent haptics. 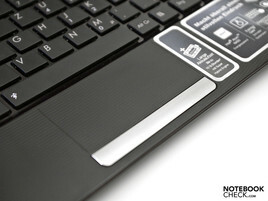 UMTS, for giving the netbook the finishing touches of mobility. A matt display with a good brightness and very good contrast - and it is possible! Various netbooks with a 10.1 inch display and Intel Atom N450 processor. Amongst other the Asus Eee PC R101, the Sony VAIO M-netbook, Samsung's NP-N150 Eom, the MSI Wind U160 and many more.